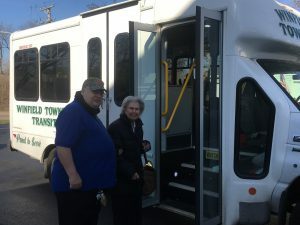 Winfield Township offers a senior and/or disabled bus service for those age 65 and older and/or disabled (18 and older) who reside within Winfield Township. Proof of age and Winfield Township residency, and disability, if appropriate, are required. If you qualify for the program and have not signed up yet all you need to do is come in to our 130 Arbor Avenue office and complete the form and bring in proof of residency and age. The forms are in our office and can also be printed off our website www.winfieldtownship.com. Transportation service is available Monday through Friday during the following hours: 8:15 am to 4:45 pm. Ride availability is on a first-call, first serve basis the day before you are to ride. Cost is $4.00 (cash only) per roundtrip per person and you are allowed 3 stops. The bus travels within Township boundaries with a few exceptions. Those are listed under additional information on this website, as well as closings due to holidays. Click HERE for the brochure that includes information such as reservations, boundaries, rules, cancellations, and comments/suggestions. 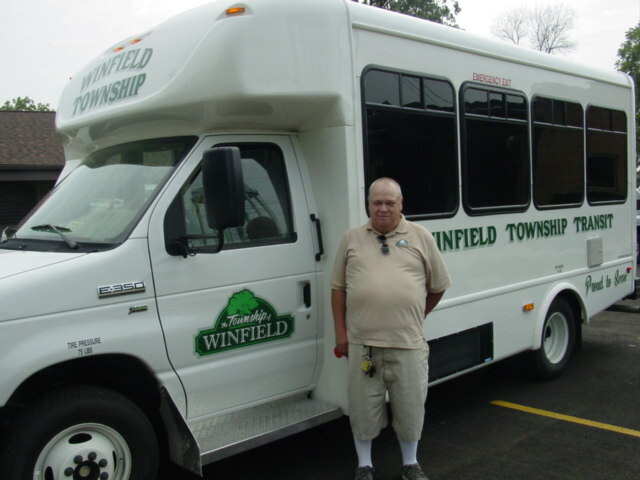 “The Winfield Township bus is very helpful to us seniors. We are able to get our shopping done, go to our doctor’s appointments with no problem at all. 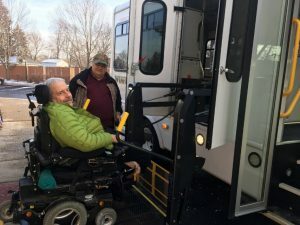 Terry our great bus driver is helpful and courteous and is ALWAYS on time!” Click here for more information about the bus service.